While it's been some time since we last checked in on Running with Rifles, the devs have been continuing their support of the top-down shooter and have a new historically-themed piece of DLC dropping next week. The "Pacific" DLC adds two full campaigns to the title that will allow over 40 players to play through them cooperatively. Choose to play as either the U.S. Marine Corps or the Imperial Japanese Army as you battle across seven different islands that were key to the Pacific campaign during World War II. When you're done playing through the campaign with your friends, you can hop into any one of the new maps to enjoy some old fashioned "comp stomping." 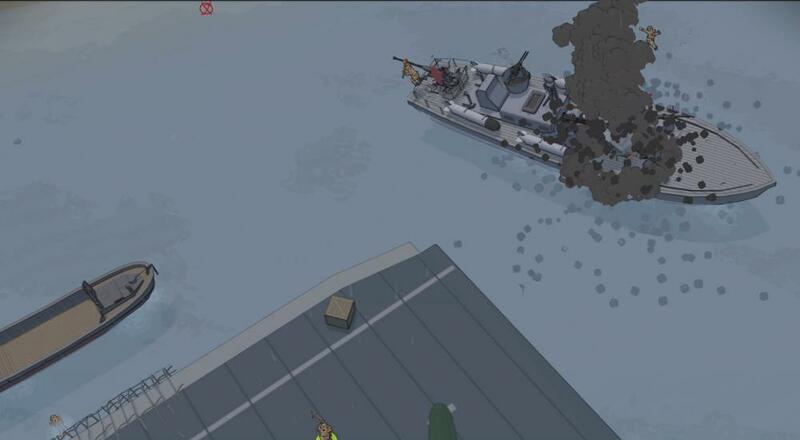 The DLC also adds new vehicles, like the Stuart light tank, as well as new weapons, such as Flamethrowers and katanas. The "Pacific" DLC will be available via Steam next Tuesday, October 26. Page created in 1.6316 seconds.